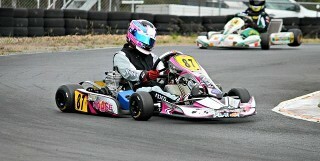 Why buy a Haase Racing Kart? 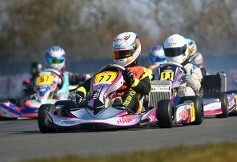 Haase is the best value when buying a new kart today. All karts come with the “good” stuff. This includes all magnesium components, the best axle & hubs, 25mm spindles, and more. 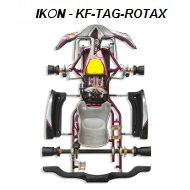 Factory set up information for all classes comes with every Haase kart that we sell. See below for just a few of the many examples of Haase Karts dominating some of the most competitive races in the world. Completely race ready when purchased. 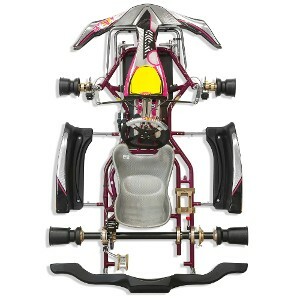 Comes with the factory Haase set up giving you a complete and tuned kart from the start. 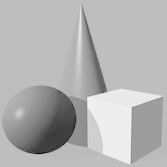 All factory Haase tricks are implimented. The NEW Haase Mistral will be on display at Raceway Park, Englishtown, NJ as well as the F-Series and State Championship races at NJ Motorsports Park. Stop by the grid for kart information and flyers. We will be available to answer any questions or provide information. For a limited time only, purchase a Haase Spirit for only $3,500! Lowest price yet. Take advantage of these blowout prices! 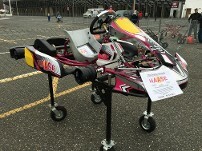 Our complete line of Haase Racing Karts is outlined below. ON TOP OF THE PODIUM IIN THE X30 SENIOR CLASS WITH FOLDESI, THE "UNTOUCHABLE"
Following the excellent 2nd place at the first round of the 2016 X30 Belgian Championship, Tristan Foldesi is on podium again, winning everything in the first race of the Belgian ASAF Karting series held in Mariemburg. 1st in qualifying, winner of race 1 and winner of race 2, he put up a great performance, showing his driving skill and the top performance of his Haase kart. With an extremely dense and talented field, Haase Karts give you the competitive edge you need to win races.